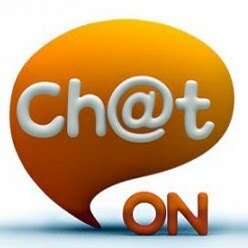 Samsung's introduced ChatON - a cross-platform messaging service, on Monday. Samsung has stepped into an already heated mobile messaging space. Earlier this month Skype bought GroupMe, also a group messaging service. Google already has a free cross-platform messaging option found in Google+, called huddle. Apple also plans to unveil its messaging service - iMessage, along with the launch of iOS 5. All messaging system work exactly in the same way, users of a service can message other users for free, in some cases users can also attach photos and videos to their messages. Samsung's ChatON is to debut at the IFA-2011, the international consumer electronics fair to be held in Berlin next month. This means that, ChatON will bring texting, group chat and image / video sharing to not only Samsung's Bada OS, but to iOS, Android and BlackBerry platforms, as well. With ChatON, Samsung has vastly simplified mobile communication by allowing users to connect to our upcoming feature phones and all major Smartphones in the market. Well, Samsung says ChatON will be the most internationally compatible mobile messaging service. It will be made available in 62 languages and 120 countries over the next few weeks as it rolls out to Android devices. With the introduction of these free cross-platform messaging services, we believe that the paid text messaging through cellphone carriers will soon be on its way out.